*Received a copy from the publisher in exchange of an honest review. 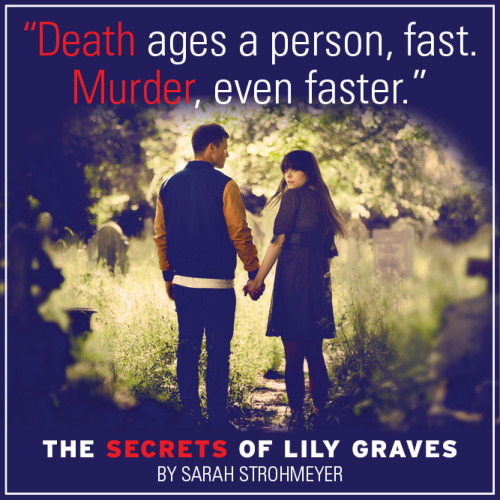 The Secrets of Lily Graves had been sitting on my shelf for a few months now, so while looking for my next read I decided to find out what the story was all about. Besides, I really liked Sarah Strohmeyer's Smart Girls Get What They Want and was really interested in seeing how the author transitioned from light and funny contemporary to something dark and mysterious as a murder concept and a character whose family ran a funeral home. So, did I like the story? Yes, mostly. But there were some things that bugged me. For instance, I felt like Lily's character seemed to be trying too hard to appear Gothic, fascinated by the world of the dead, etc. It didn't come out as natural to me. And I was a bit annoyed at times with her feelings for Matt. I guess you can say I didn't warm up as much to her character, but that never threw me off a story before. Lily was tolerable, and I wanted to see how everything would wrap up. My other issue is that the story seemed a tad stretchy throughout, and then by the last chapter it was being rushed as if the author grew tired of writing it. Also, it was a little obvious. I mean, I'd already suspected who was behind the murder from jump, so the reveal at the end wasn't very climatic on that person's part. However, I had no clue whatsoever about the other person so that made up for the ending somewhat. As mentioned before, I liked the story for the most part. The writing was good. I liked Lily's mom and aunt. The funeral home setting was new to me so it was interesting reading about how they prepared the dead and the effort that went into it. That was intriguing and good to know that the Graves' respected the families enough to want to do their best. That was conveyed greatly in the story. This is a switch from Sarah's previous release but I don't mind it at all. 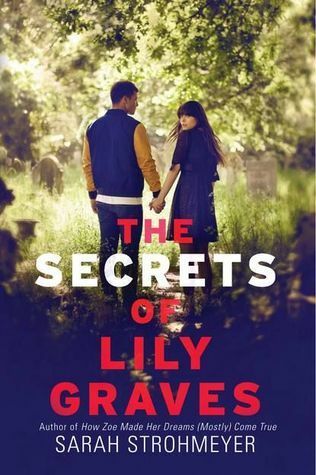 It's great when an author can take on different genres, and while I wasn't in love with The Secrets of Lily Graves, it was still a good story that I liked reading. I recommend this book if you're into YA drama with a murder mystery. Thanks, Esty. Hope you like it when you get the chance to read it. Yeah, I liked it until the end. It didn't match the rest of the story in my opinion. Not only did it feel rushed, but I didn't really believe it. It's one of those things that's possible but not probable...you know? I get what you're saying. It just seemed like Sarah was tired of writing it and wanted to wrap it up fast when it got to the last chapter. Just seemed so off. I really liked Smart Girls too, and was curious about this one. Sorry it didn't fully hit the mark with you. Thanks for the review! Hope you enjoy it when you get the chance to check it out. Thanks, Rachel. Good to know I'm not the only one who saw these things. Sounds like the book has some very interesting elements. I don't know if I might feel put off by Lily's appearance, so I bet I'd have to get hold of a copy and see for myself. Thanks for letting us know what you liked and disliked. It's always a plus for me when a story has a strong family aspect.